Vintage lens fans and sufferers of gear acquisition syndrome will no doubt be familiar with Tito Ferradans from his YouTube channel and strong presence on Facebook. 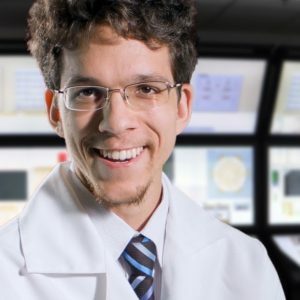 His channel branding gives him the appearance of a mad professor: his thumbnail shows him in white labcoat and glasses, and regular viewers will be familiar with his wild curly hair (for which he has actually received criticism online; something about not looking professional, although I challenge you to show me any filmmaker who dresses up). He could be a relative of Doc Brown, or Robin Williams’ Professor Brainard from Flubber, except his area of expertise is anamorphic lenses rather than time travel or green jelly creatures. Tito Ferradans’ YouTube channel photo. Originally hailing from Brazil and now based in Vancouver, Ferradans has been investigating budget anamorphic lenses for several years. He is currently in Tokyo on a top-secret project “to do with anamorphic”, so I take the opportunity to meet him at a coffee shop in a Tokyo suburb, to discuss his work. It is 10:30 in the morning, and the outside temperature is already over 20 degrees celsius, so he shows up in a T-shirt that reads, “I See the World in Cinemascope,” underlining his passion for anamorphic. From the first question I ask him, he is animated, confident, passionate, giving the long, detailed answers every interviewer dreams of. I ask him to explain anamorphic as if I were a complete novice to the subject. “The word anamorphosis means to change, to distort an image, in a specific way. And for photography, or cinematography, you’re distorting that image on the horizontal axis. So you’re putting glass in front of your lens that makes it see wider horizontally. 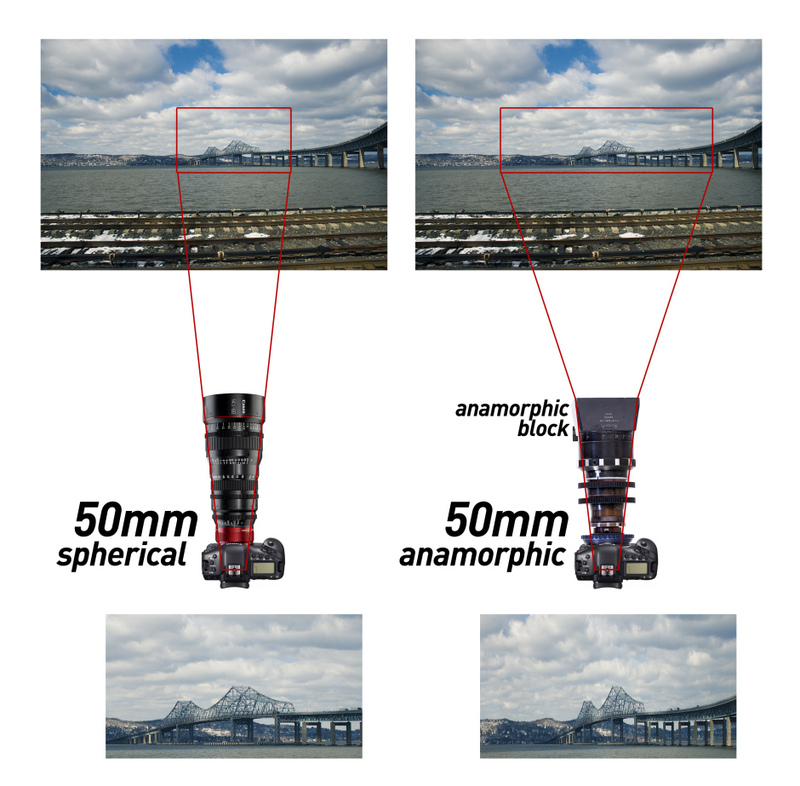 It sees more than your lens does, and it squishes it onto the center.” Essentially, anamorphic lenses allow one to squeeze a wider (2.39:1) image onto a 4:3 sensor or celluloid frame: an image which must then be de-squeezed in projection. Unprompted, he traces the history of anamorphic for me, from Hollywood’s appropriation of military technology to capture more spectacular images than television (anamorphic lenses were invented by a French astronomer/scientist to allow tank crews a wider field of vision), to the current boom which he credits to the HDSLR revolution. “When the Canon 5D Mark II was released in 2008, suddenly it became very cheap to get shallow depth of fields and everyone was making beautiful images, but wanted to make them look more like cinema. 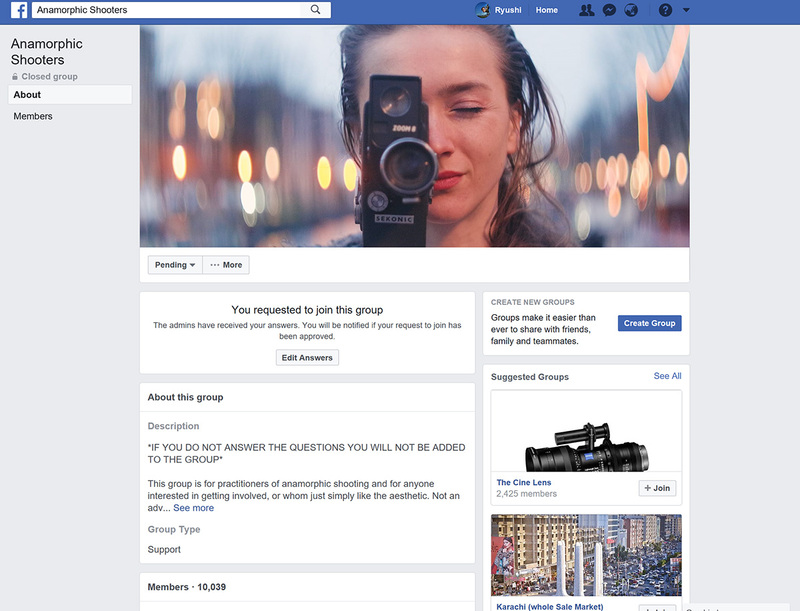 They were like, ‘How do we make this normal-looking image into something cinematic?’ Anamorphic is going to give you a bunch of things that big budget Hollywood films have, if you’re patient enough for a fraction of the price that Hollywood pays.” This is Ferradans’ real area of expertise: anamorphic lenses on a budget. So much so that he wrote a 100-page primer on the subject as part of his final undergraduate project, a text which he has since translated into English. However he may be best known for his YouTube channel, where he has over one hundred videos on anamorphic lenses. 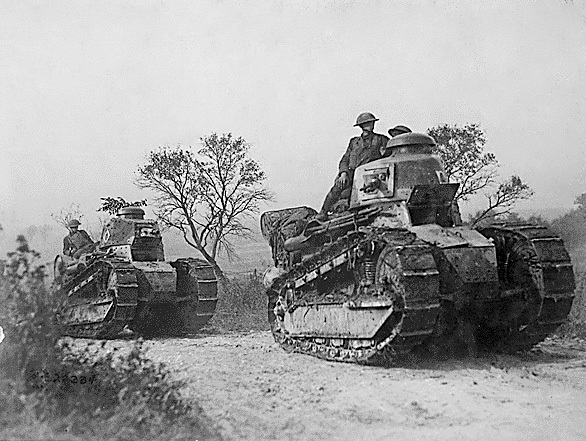 The first anamorphic lenses were developed to allow tank crews to see a wider field of view. I ask what initially drew him to anamorphic and sparked this early research project. “I had a Canon 7D and a bunch of Canon glass. And then everywhere I went to shoot, everybody had the same gear, and all the projects had the exact same look. I was bored of it and looking for something interesting, so I went into anamorphic. It made zero sense in the beginning. “I bought four lenses. They were so cheap back then, it was great – I only spent two thousand dollars. Today, two grand gets you one lens, maybe. They were all very different from each other so I started to figure out how to mount them, and how things worked. This comparison became a combination of practical filmmaking and empirical research, examining the differences between the legitimate Lomo anamorphic cinema lens and a Zeiss/Iscorama adapter. Once done with his degree, he published his findings on his personal blog. I ask whether he has experienced any pushback from established anamorphic shooters for growing the community and driving up prices through increased demand. “There are two sides to that argument. One side is, before [this growth] there was no information, so if you found out a really cool secret, you would keep that for yourself, and you would benefit from it alone. When you start sharing things and your findings and whatnot, you drive up demand, which is why the prices are going so high. In a year they more than doubled, I think, for most adapters. But it’s a very small group of people who say I’m giving out all the secrets. And they come back saying, ‘That was a really cool video, and you should try out this and that.’ It turns out they like my content. Nevertheless, Ferradans suggests caution to people considering diving into the anamorphic world. “It’s going to take all your money. And it’s very, very addictive. Your setup is always nearly perfect but you never quite get there. There’s always, ‘I need a new adapter, I need a new diopter, I need a new taking lens, I need a new thing that’s going to come out next year…’ It’s very hard to build a good setup as it’s a lot of small pieces put together. There are too many variables. There are unlimited options. One of Ferradans’ reviews of an SLR Magic adaptor. 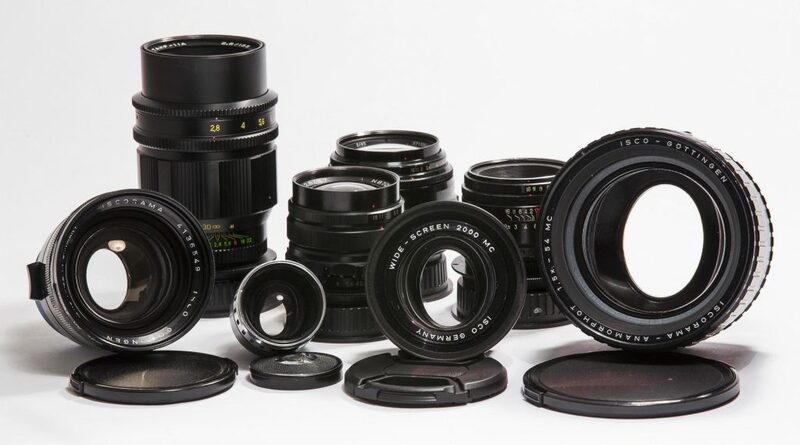 Does he prefer modern solutions like the SLR Magic lenses, or vintage combinations like the ones he started out with? “That’s a trick question. It depends on the project. But, for starting out, I would say SLR Magic is one of the best ways to go. It’s simple, it’s cheap. It’s going to give you the feel for anamorphic. I’ve had all of their adapters so far and I liked most of them. “This is the sad part which will come up on the channel soon though – I got tired of adapters. It’s too many parts to make something work for fifty different options, and you’re compromising on all of them. So, I think I’ve reached my threshold for dealing with the limitations of adaptors. I still think they’re the best way to start: if you’re not doing this for living, adaptors are the best thing to do. Tokyo is a mecca for stills photography gearheads, with rarer vintage cameras and lenses often appearing on the market in tip-top condition. However, it can often be more difficult to find cinema equipment made before this century, irrespective of condition or pricepoint. I ask Ferradans whether he has had time to have a root through the abundant used camera shops of Tokyo. “Yeah, I went looking for stuff twice. The first time, we went to Nakano and everywhere was just empty; we didn’t find anything. There were no used lenses: nothing. Both times I went with friends that live here. They’re really into anamorphic and they never find anything. The second time, just for fun, I went to more camera shops in a two-hour timespan in Ginza than there are camera shops in Vancouver. Ferradans is not just a lens guru, though. He booked a range of camera and lighting department jobs between graduating and going full time as a lens expert, and he also works on his own creative projects. Last year, he directed the short film Up & Away, which is currently doing the rounds on the festival circuit. A “sci-fi, dystopian story with strong visuals, about a couple in a society at the brink of collapse [who] have a chance to start over aboard a colony spaceship”, it was shot on “six or seven completely different locations” over three days with no sleep. “I don’t know how I made it through”, he laughs. 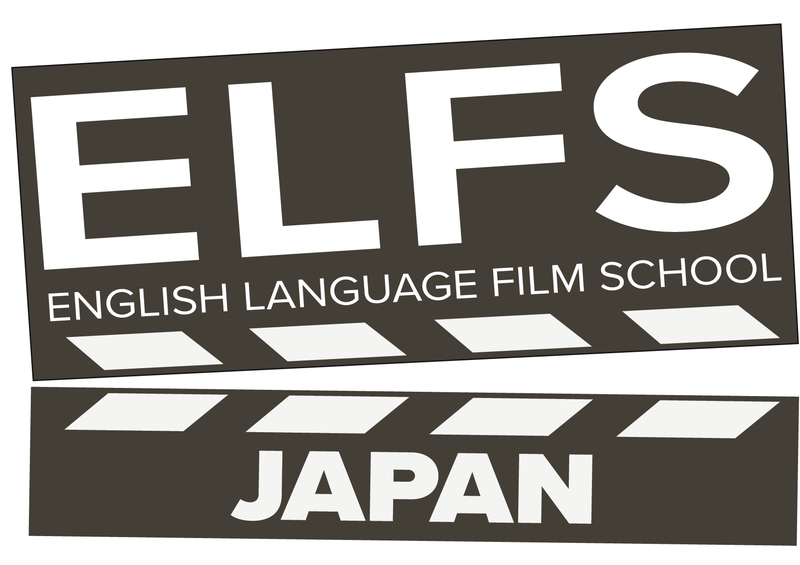 He currently has two narrative projects he is developing. “One is a noir VR experience in which you have the option of following the character’s story, or making your own conclusions, and by the end, both paths will lead to different conclusions. If you follow the story, you will believe in one thing, but if you do your own looking around, you’re going to find out another thing about the crime. Ferradans’ prank video hit ten thousand views within the first two days of its publishing. Check out Tito Ferradans’ YouTube channel. You can also follow his work on his blog and his Instagram. Want to ask him a question? Show him some love and support first on Patreon.